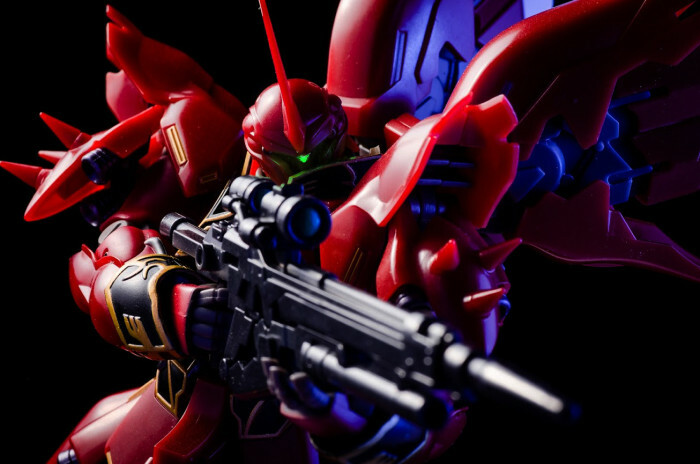 So without further ado, this post will be about the Robot Damashii Sinaju figure I received from Hamstercorp on his recent visit. 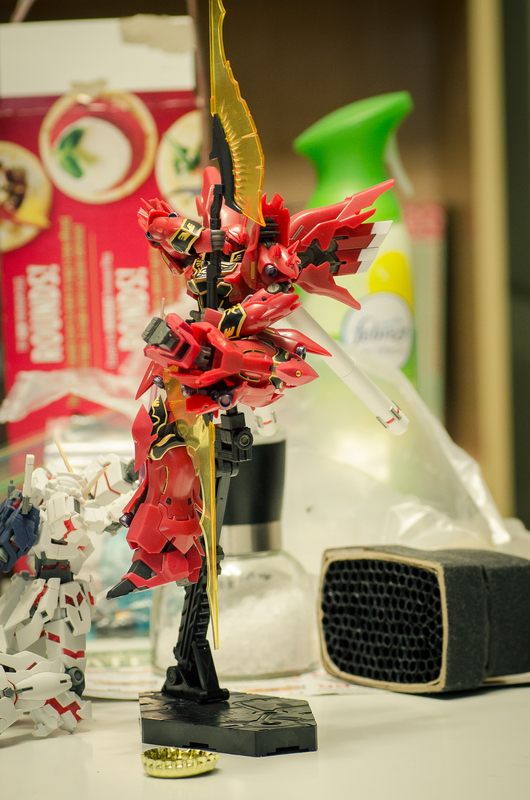 The Sinanju has been a mobile suit that I had often thought about purchasing a model of, but the task of hand painting the gold trim proved to be too intimidating of a task for me. This Robot Damashii figure, on the other hand, looks great out of the box and is designed to stand up the punishment of play. It is quite a liberating experience to be play around with the Gundam universe figure without the fear of scratched paint and broken pieces. 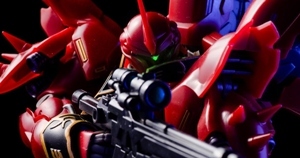 I won’t get into neurotic detail, but of special note are Sinanju’s rubber hands which allows for a lot of flexibility when it comes to positioning its melee weapons. The double beam axe weapon would’ve been a nightmare to pose, but thanks to its rubber hands, there was virtually no frustration at all! The figure is also decently articulated with solid joints, though the torso needs some extra hand-holding at times. This lighting for this shot ended up being slightly tricky when I realized its arm and weapon cast a shadow over its head. 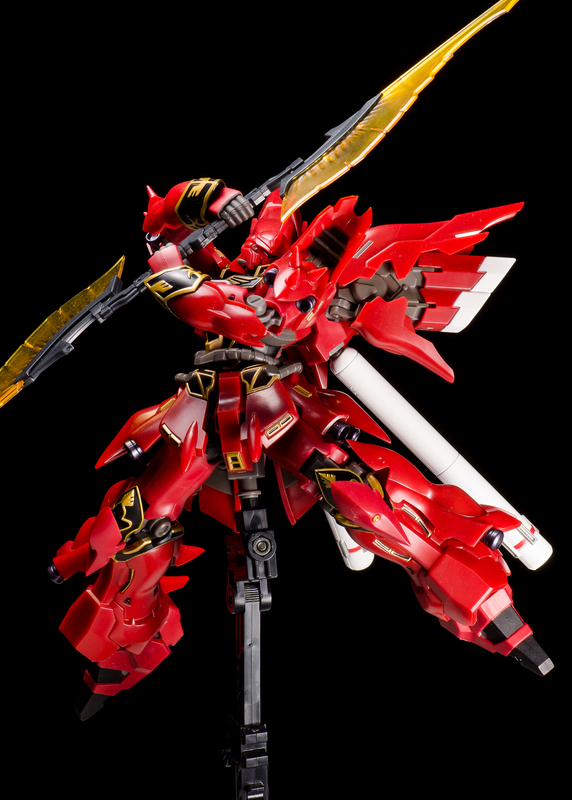 This was a bummer because as pleasant as Sinanju’s hands were to work with, this weapon is so clunky and impractical that it’s rather hard to come up with a decent action pose with it. I ended up putting one light source directly above the figure and a second below and to one side to balance it out. 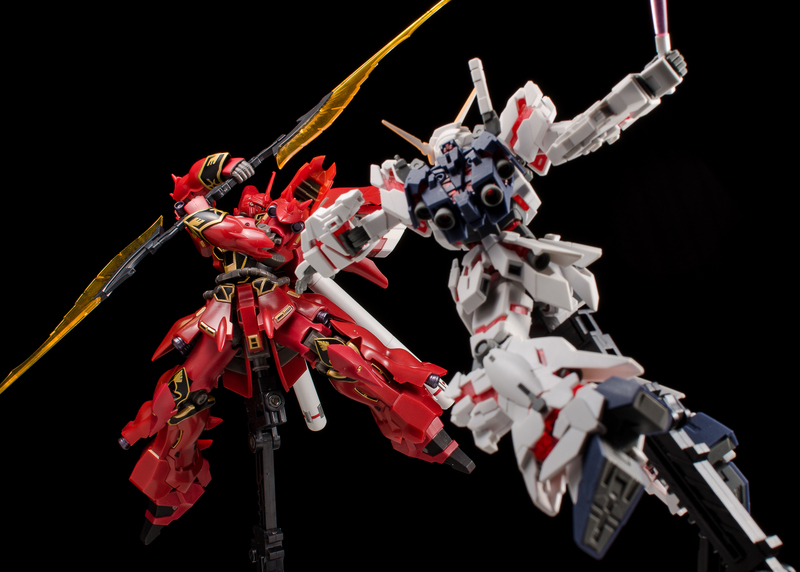 For this shot I used my 35mm (50mm equivalent) lens when it became clear that I wasn’t going to fit both figures in the same frame, but I was surprised at how big of an effect it had on the feel of the image. With the wider lens, the stretching effect on the corners really added a nice dynamic look. It made me wonder about the potentials of using a macro wide-angle lens to produce some iconic effects. Maybe one day! Finally, there’s the shot at the top of the post. I decided to try an low-key effect with some colour gel flash lighting on one side to convey some drama. I was mostly happy with the results, but the lack of a prominent mono-eye on the figure made me wish I had the know-how to Photoshop it in. Enter Francis, who did exactly that after I mentioned in on my post on Google+. I must admit this addition makes the image more interesting by leaps and bounds. I tried doing this myself in Photoshop afterwards, but was only partially successful. The mono-eye was reasonably simple, but adding a convincing green glow around it proved to be too much for my patience. By request, here’s the photo of Sinaju re-imagined as a stripper by the wife. Anyhow, that’s the end of the first of these new posts. I have a couple more of these planned for the near future, so please bear with me while I figure this out! 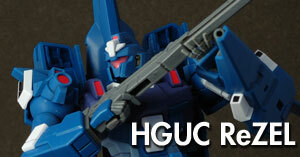 Yay, another figure friend blog coming back to life! 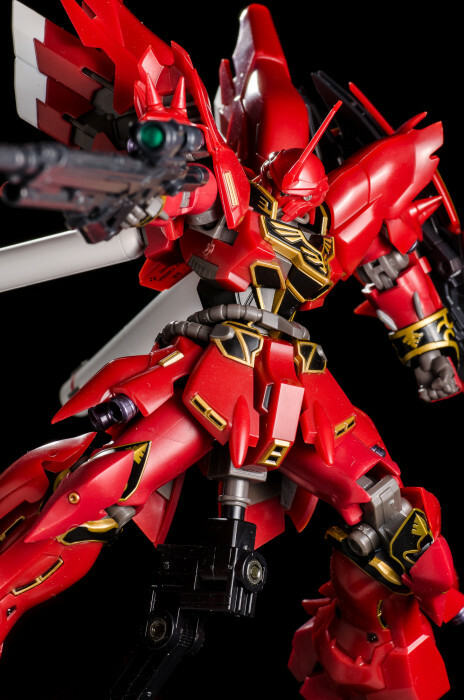 You sure are getting a lot of enjoyment out of Sinanju. You should have done up a nice picture of that stripper pose to include here. Well, I’m not sure if I’d call it coming back to life, since I am pretty on and off on G+. Let’s call it Limbo for now. This is a neat toy! I don’t even know why you got rid of him. When it comes to articulation, accessories and playability, this guys really blows everything else I currently own out of the water. And as for stripper Sinaju: done. Well aren’t you brave! I totally ignored the elephant, figured it was too much of a pain and whined enough to Fab about it anyways. You are very much right though, there is just something dear and near to the heart about my blog that I paid for yet another year of hosting rather than let it go. 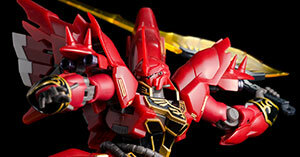 I really like the Sinanju, I keep eying the Robot Damashi and keep thinking about buying but never though. 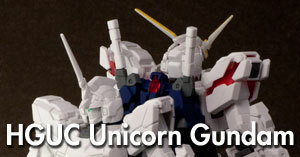 I should get it, give my Unicorn MS girl a buddy from UC. I recently for the Freedom and gotta say it really does blow those old MSiA I got. 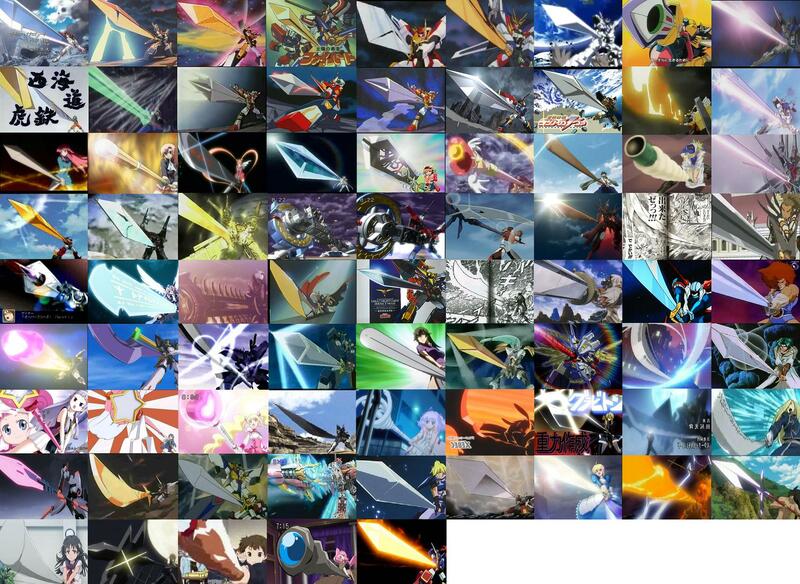 Kinda want more now Robot Damashis now. Interesting that you bring up the wide angle macro lens, it’s something I have wanted for ages. I should go find one for micro 4/3 cameras. Being able to do things like the Obari pose would be super awesome. Probably the last time I talk about the elephant. I have a habit of making promises or speculating what’s to come, but sometimes self-imposed deadlines and quotas often run to the contrary of fun, so I’d rather just take it easy and take my time from now on.